You want to grow, and you want to bring your team with you. 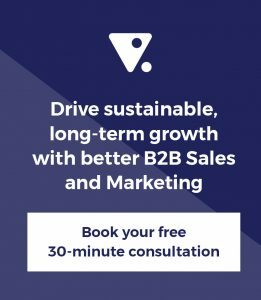 We’ll help you to drive that growth with our unique approach to sales and marketing strategy, innovative thinking and team of skilled and dynamic marketers. Call us on +61 3 8595 8400, or fill in the form below and we’ll be in touch with you shortly about how we can help.